In the center of this optical illusion there is a black shape which resembles a candlestick, one of those brass type they have in churches that sit on the altar. 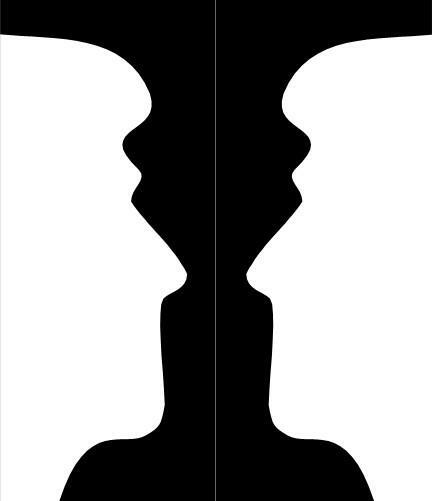 In contrast, on either side of this black image there are two white silhouettes of human faces which gives the appearance that they are facing each other. To see this optical illusion more clearly you might find it best to stand back and view it from a distance rather than looking at it straight on while sitting in front of your computer screen.